Davenport: Christian Pulisic has a vision of a transformed US football team, a red-white-and-blue power that gives opponents sleepless nights similar to the nightmares that plague players on the eve of facing Brazil or Germany. “I want them to fear them like a big team,” he said on Tuesday, quickly acknowledging “obviously, we still feel we have a long way to go”. The midfielder from Hershey, Pennsylvania, is with the national team this week for the first time since he became the most expensive American player. Chelsea agreed in January to buy Pulisic from Borussia Dortmund for 64 million euros (Dh267 million), then loaned him back to the German club for the rest of the season. Pulisic was 17 when he made his Bundesliga debut in 2016 and became a regular with the national team. When the US lost at Trinidad and Tobago in October 2017, failing to qualify for the World Cup, he was the image of defeat. Pulisic crouched on the field, steadied his body with his right hand and covered his face with his left. The emotional pain was intense. 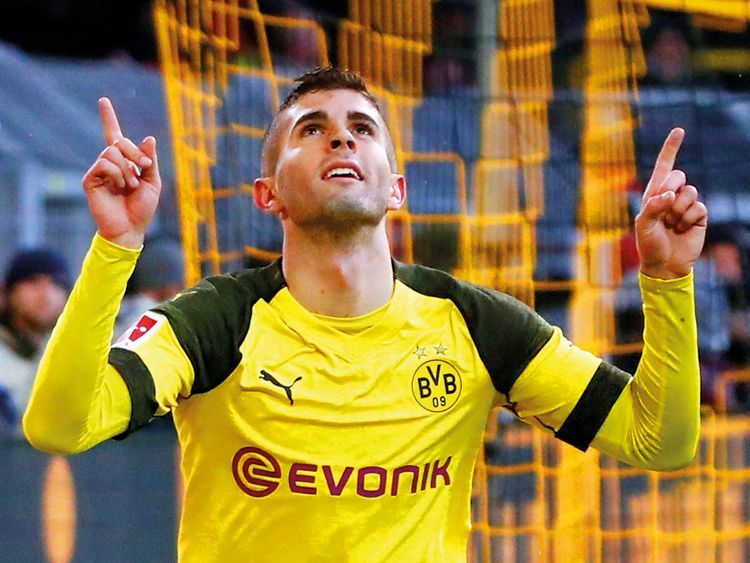 Pulisic’s start against Hertha Berlin on Saturday was just his sixth in the league this season, but he scored as a sub against Stuttgart on March 9, his second league goal this season and first since September. He played in both Champions League round of 16 matches against Tottenham, though he struggled to be effective in the first leg. Pulisic long dreamed of playing in the Premier League, the most watched soccer league on US television. Chelsea needs a playmaking midfielder in case Eden Hazard leaves this summer. Dortmund last won the title in 2012 and is seeking to end Bayern’s streak of six straight championships.